Rate this Article Betway is one of the most popular online betting site that provides a wide range of ways for you to gamble to your heart's content, be it via live poker tournaments or football matches. Based in the UK, Betway Casino is perhaps one of the largest and most renowned online betting sites. Betway rose to fame within the online betting community mainly because it – just like its slogan of “Bet Your Way” - lets you place bets however you like. Aside from providing plenty of games for its players to enjoy, the site also has a good list of promotions and bonuses. There is a loyalty program that allow players to get benefits through free bets, extra spins and loyalty point multipliers. When it comes to online casino games, Betway Casino offers a variety of games to suit everyone's taste. The site has a number of options in the sports betting section, and you can find odds for almost every football, tennis, baseball, basketball... etc match that is either currently on-going or about to start sometime in the future. It’s also nice to note that although the betting odds are shown in the fractional format, you can easily change it to decimals or the American format if you like. Aside from sports, the site also covers virtual sport events, or eSports, providing players with the option to bet on their favorite teams in CS:GO, DotA2, League of Legends, Overwatch, Starcraft 2 and many more. Bettors can complete weekly objectives to get up to €20 of free bets as well! Now, for the less sports-enthusiastic player, you can check out any of the more than 450 games, ranging from baccarat to roulette, to slots and even to blackjack. For people who fancy live games, there are live casino games that are streamed in high definition on Betway too, including 3-card poker and Caribbean stud poker in addition to the usual casino games like roulette or blackjack. Yet, slots continue to be the primary focus at Betway. The site also has a dedicated Poker software that you can download or play directly on your browser after you’ve signed up and placed a deposit. The program will then allow you access to Betway’s range of competitive online poker tournaments where you can test your mettle in. The same goes for bingo games, though these games might not be as competitive as poker. For those seeking more Vegas-like games to play, the site’s Vegas games section may be a better fit to enjoy the many games it has to offer. In fact, players are spoilt for choice with the huge variety of games. Like most online betting sites, Betway has a ton of exciting promotions to get you through the door, and these offers vary depending on the games you play. Generally though, most games offer attractive welcome bonuses that will appeal to newcomers, but older players will still have deposit bonuses right up to their third deposit. There is also an opt-in membership for Free Bet Club that sports bettors would just love. 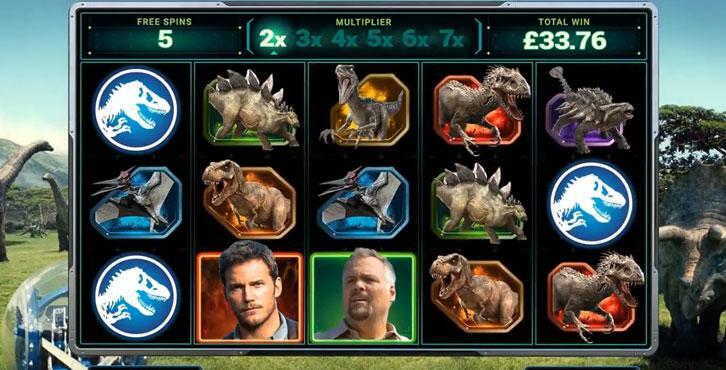 In addition, some promotional games like Jurassic World – one of Microgaming’s recent hits – and Dream Catcher will have special bonuses that will double or even triple the leaderboard points you get. Some games, such as Live Casino Hold’em, will even give you a 4x multiplier on the Plus points you earned. Every player, who has made a deposit, will be automatically entered into the loyalty program. Each time you wager, you’ll earn some Plus points. Unlocking new tiers – out of the six – will grant you access to exclusive bonuses and offers, while members of the high-tiers will even get showered with additional rewards such as free tickets for races and matches. Betway accepts an extensive range of secure payment options aside from the usual Visa, Mastercard, Maestro and Paysafe card depending on which country you reside in. For instance, UK residents can request a direct bank transfer for depositing or withdrawing, but this option is not available for all countries. If you’re unsure what your options are, you can always contact Betway’s staff via their live chat or you can just drop them an email. As you may know, nowadays, many people are playing games on their phones rather than on their PCs. Following this change in the tides, Betway has come up with their own Betway app that lets you place your bets whenever and wherever you like! You can actually download the app now on the AppStore. Android users, however, will need to go through the offline route since the app is not available on Google Play.